The Association of Ghana Industries (AGI) has commended Appolonia City for its vision and the quality and extent of the infrastructure at the large-scale urban development in Greater Accra. AGI’s expression of support for Appolonia City came during a familiarisation tour of the project by executives of AGI’s Accra branch. The working visit was aimed at ascertaining the status of development and interacting with the developers to know their concerns and needs. AGI, which is comprised of about 1,200 members, serves as the leading voice of many industries in the country, representing their interests to government and beyond. 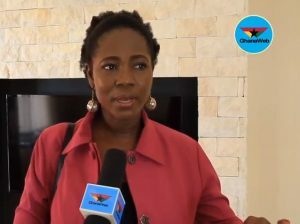 The CEO of Appolonia City, Bright Owusu-Amofah, thanked AGI for its visit and called upon the regional and national executives to continue their support for, and guidance to, the private sector.